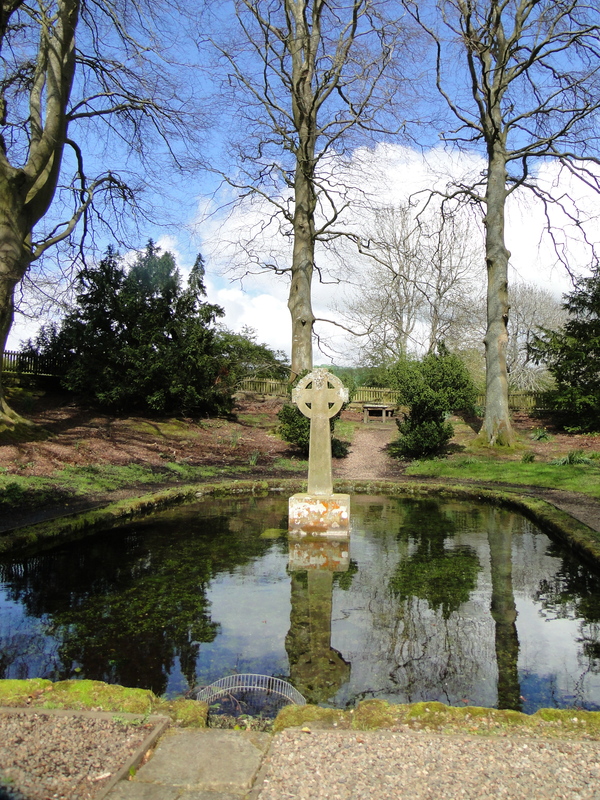 Having visited Holystone church I walked up to Lady’s Well, also known as St Ninian’s Well (NT953029). It is next to the Roman road that runs east west from the Devil’s Causeway to Dere Street, and may have been reconsecrated by Ninian. He was around at the end of the 4th century and may well have had a mission to the southern Picts. Legend has it that on Easter Sunday 627 St Paulinus baptised 3,000 people here – although others suggest that York is a more likely spot. 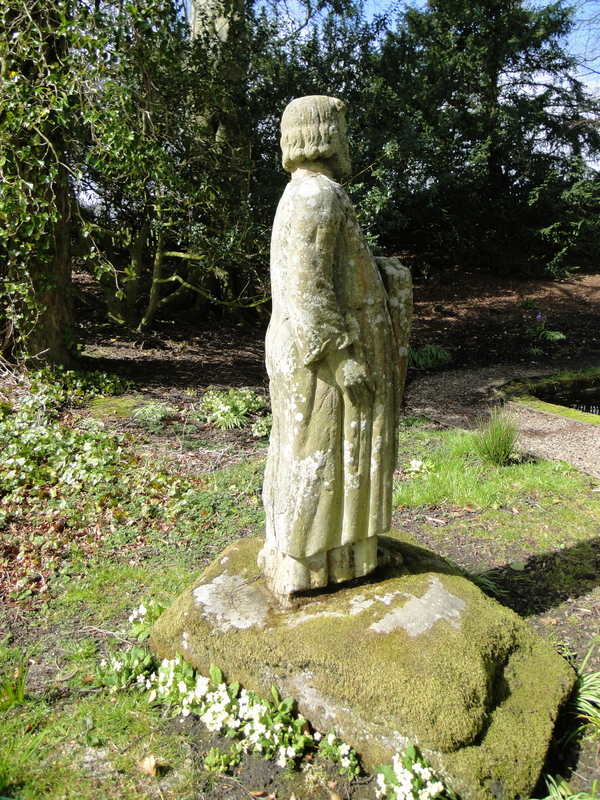 I have a soft spot for Paulinus as I was trained at Lincoln Theological College. Every 10 October we would hold an open air service in the grounds of the church of St Paul in the Bail – we illuminated it with flaming torches, with the floodlit Cathedral in the background. On one occasion we had just made our confession when the dustbin lorry arrived to empty the bins. 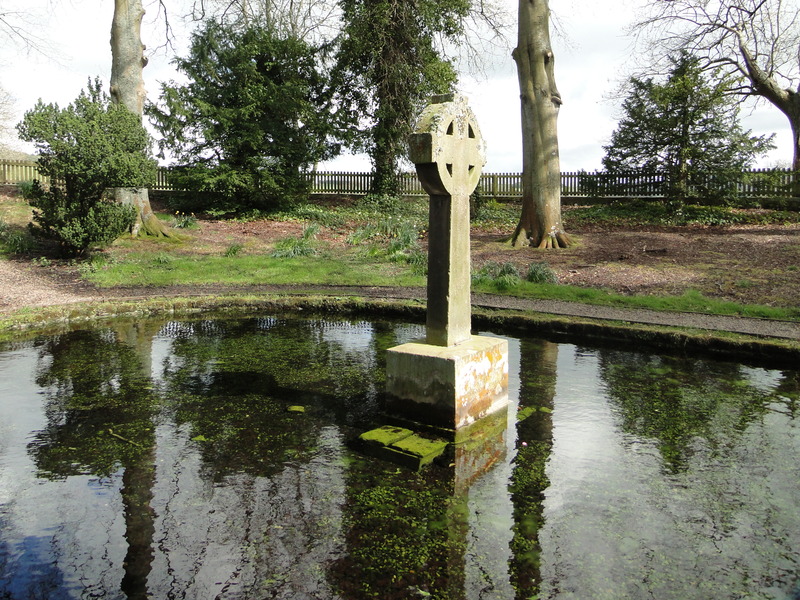 Here at Holystone the cross records Paulinus’ work. 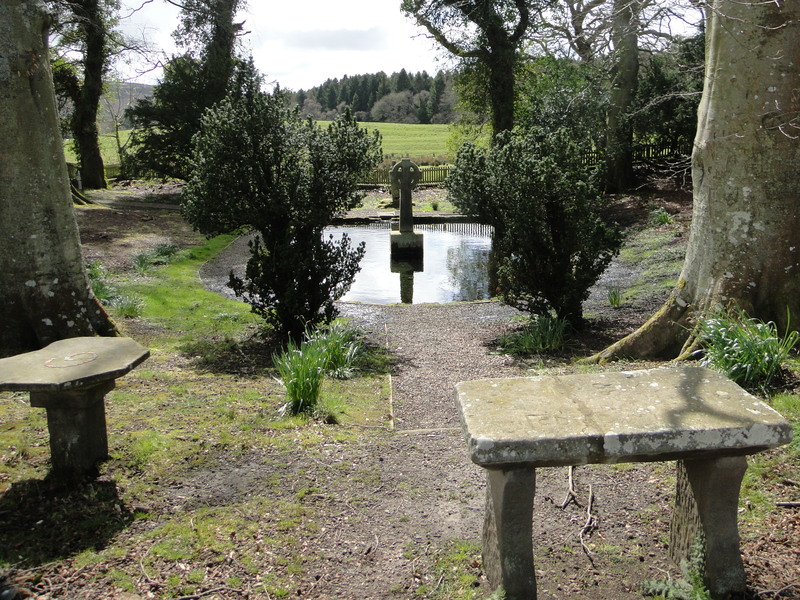 A few weeks ago the current Archbishop of York made his way across the fields to this well. Photos on the Diocese of Newcastle website – www.newcastle.anglican.org/ I will not be upset by the fact that my photo of Edlingham, which was on the Diocese’s home page for several weeks, has been replaced by the Archbishop. Several years ago I had an interview to be Sentamu’s Chaplain. I made my way from Bury to York on the train, and had breakfast en route. I spent an hour in the railway museum, then got a taxi out to Bishopsthorpe. I spent a couple of hours being interviewed and wasn’t even offered a coffee. At the end of it I was told “we’ll be in touch” and left to find my own way back to York. When I put my expenses claim in I claimed for the train fare, taxi fares, and breakfast. A fortnight later I was phoned and told I hadn’t got the job, and informed that it wasn’t CofE policy to pay for breakfast. I pointed out that I had travelled half way across the country and hadn’t even been offered coffee. The Archbishops’ Appointments Officer agreed that breakfast would be paid for. (Having dared to complain, my name is probably on a blacklist somewhere … bang goes my chance of getting Canterbury!!! ).